Ella M. Lewis, 81, of Hookstown, passed away Thursday, April 4, 2019, in East Liverpool City Hospital. Born December 11, 1937, in Endicott, New York, she was the daughter of the late Marvin and Della (Hughes) Conklin. Ella worked for Andy’s Candies for 20 plus years and was a member of the Frankfort Presbyterian Church, Frankfort Springs. In addition to her parents, she was preceded in death by five brothers, Marvin, Kenny, Bobby, Cecil and Gary. Surviving are her loving husband of 61 years, LeBaron “Barry” Lewis; a son, Greg (Sharon) Lewis, Verona, Pa.; daughter, Tammy (Don) Tokar, Saginaw, Texas; five grandchildren, Amanda and Nicole Lewis, Tiffany Condupa, Matthew Tokar, and Nicholas Thornton; and two sisters, Marlene Hartshorne, Allentown, Pa., and Della (Harry) Wood, Philipsburg, Pa.
Family and friends are welcome to call on Sunday from noon until 4 p.m. in the MCCONNELL FUNERAL HOME, 447 Pine Street, Hookstown, PA 15050. Additional viewing will be held in the funeral home Monday from 9:30 a.m. to 10:30 a.m. followed by funeral services at 11 a.m. in the Frankfort Presbyterian Church, Frankfort Springs. The Rev. Kevin Neal officiating. Private interment will follow in Mill Creek Cemetery. 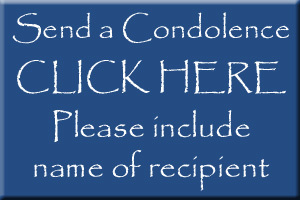 In lieu of flowers, memorial contributions may be made in her name to Alzheimer’s Association, 1100 Liberty Ave., Suite E 201, Pittsburgh, PA 15222.